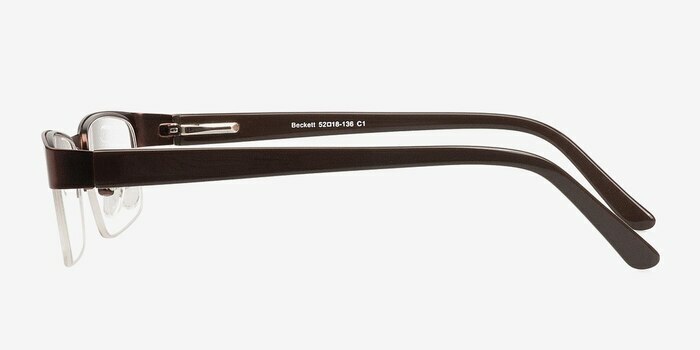 These coffee eyeglasses are classically simplified. 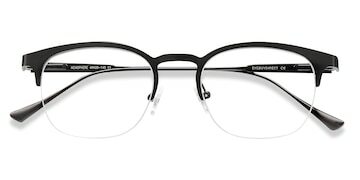 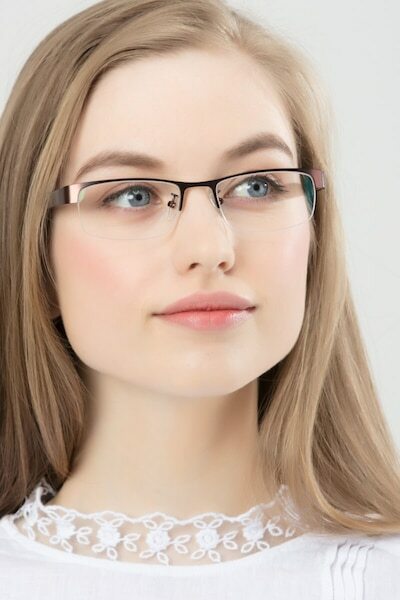 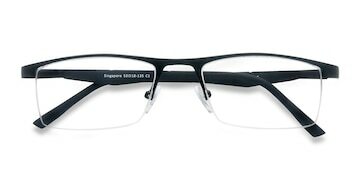 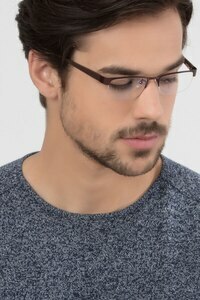 This distinguished style features a semi-rimless design constructed from metal in a matte brown finish and paired with rounded rectangular lenses. 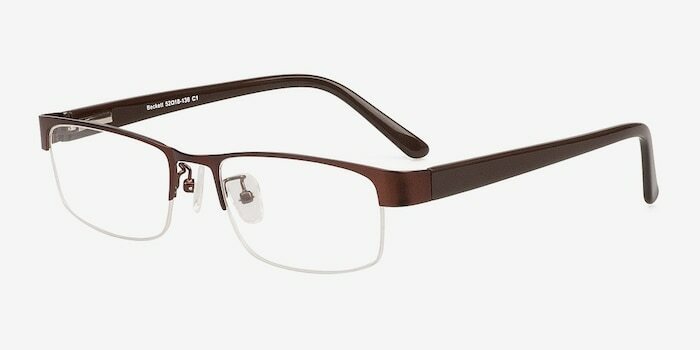 The unadorned temples are a complementing glossy brown finish. 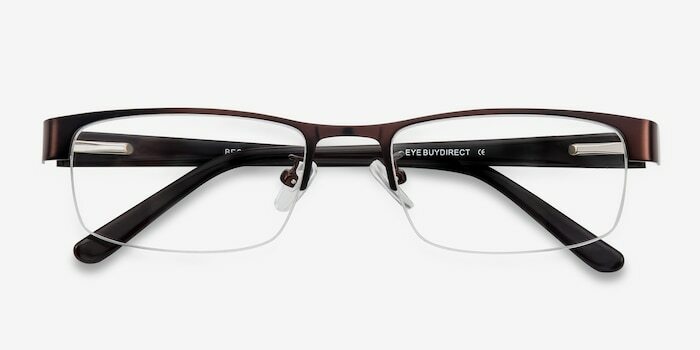 Spring hinges and nose pads add flexibility to this refined look. 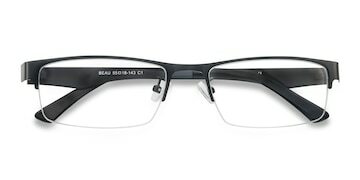 I'm sure it is the fault of my optometrist or myself, but the glasses I received were a little too strong for me to wear. 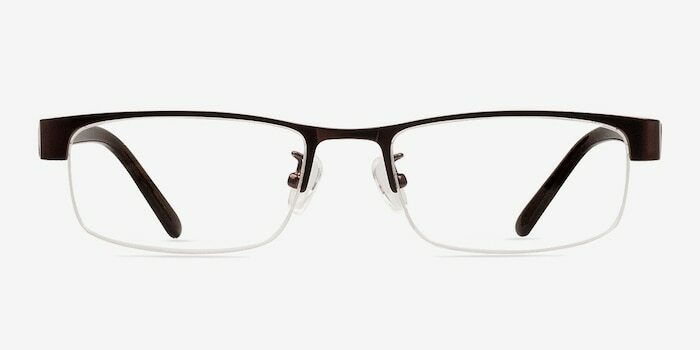 Thank you, I Love my new glasses!